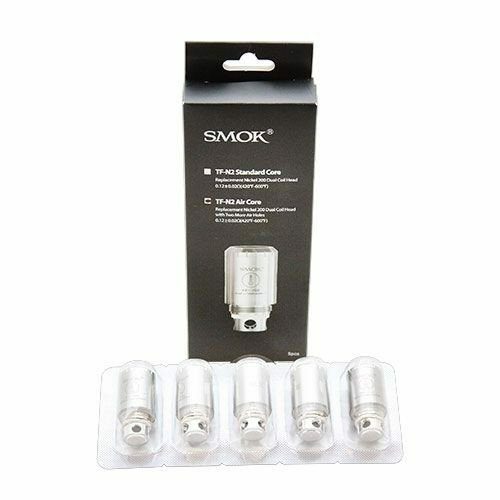 The Smok TF-N2 features patented Nickel 200 dual coil head with temperature sensing wires and seperate chamber design, which significantly improve airflow production, heat insulation, and maintain robust flavors of today’s top juice. 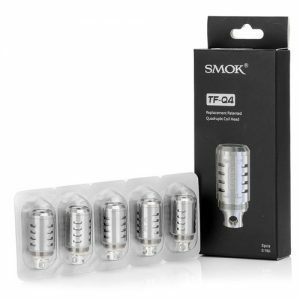 Engineered to add versatility to Smok TFV4 Tank and TFV4 Mini Tank, it works perfectly with Smok X Cube II and compatible temperature control mods. 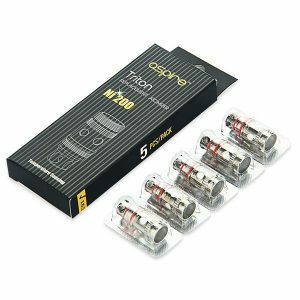 These advanced atomizers are constructed with superior stainless steel encasing the base of Ni200 heating wires and 100% organic cotton, optimal for temperature between 420 and 600 degrees Fahrenheit and minimum resistance of 0.12ohm. 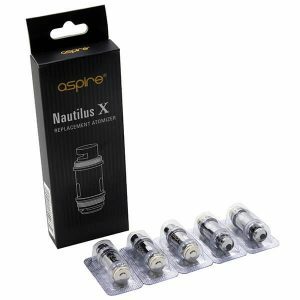 The optional TF-N2 Air version features two additional auxiliary airholes for smooth airflow and cooler vapor production. 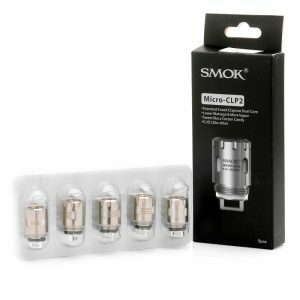 The Smok Micro-CLP2 features innovative patented Clapton dual coil head for more surface area to enhance wicking exposure, providing additional vapor generation. In addition, it is built with separate chamber design, which significantly improve airflow production, heat insulation, and maintain robust flavors of today's top juice.